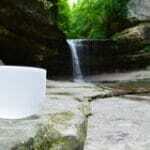 Living on Purpose is about creating balance, abundance, and joy. It’s about living in the center of our lives so that no matter what is happening around us, we can be at peace. Living on Purpose is about being “deliberately aligned” with the ways we are meant to serve and grow while staying open to experiencing life fully. Living on Purpose is a time for us to come together to remember our Divine selves, while we learn and wonder about, weigh and consider, and unpack and repack the mysteries, meaning, and sometimes madness of life. Carolyn Romano founded Charlie’s Place Healing Sanctuary, an animal rescue that operates on a 25-acre farm in Massachusetts. Charlie’s Place currently cares for nearly thirty animals — from dogs to chickens to a very wise turtle — and the number is quickly growing. As it does, it continues to fulfill its mission of being a sanctuary for animals (be they furry or feathered or walking on two feet) who need a safe place in which to heal from illness, trauma, or both. Nizhoni the sheep (and her friend, Zorro) are making the cross-country trek to Charlie’s Place in the back of a Kia Soul. On the face of it, the idea of driving several thousand miles to rescue two sheep might seem crazy. But at its heart, it’s an example of someone being the change they want to see in the world. And I think we can all agree that the world needs bold acts of kindness and love more than ever, as well as a real willingness to serve wherever we feel we’re called to. BIO: Carolyn Romano, holds a B.A. from Drew University and a J.D. from Boston University School of Law. Trained as an attorney with expertise in both special education, elder law, and estate planning, Carolyn has spent much of the last 25 years as an educational consultant, grant writer, and director of both national and state education projects. She is currently Vice President of Product at Torchlight.care, a technology startup in Burlington, Massachusetts that addresses the caregiving needs of the millions of people in the workforce who are also caring for a child with a disability or aging loved one. 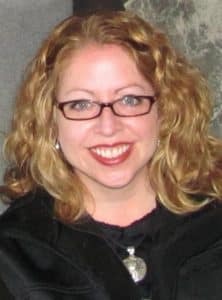 Carolyn is also a shamanic practitioner and medicine woman with particular expertise in native American healing ritual and ceremony, energy medicine, mind-body skill building, the emotional roots of disease, stored trauma/cellular memory, and other alternative healing practices focused on self-care and empowerment. She is a canumpa (sacred pipe) carrier trained in the Lakota tradition. Carolyn founded Bliss Healing Arts to pursue her passion of helping individuals and groups achieve lives of balance, abundance, and joy. She expands her work now to include emerging women leaders who need support to remember, cultivate, and share their personal medicine with the world. From 2002 to 2005, Carolyn was Program Director of the Theosophical Society in Boston, an organization dedicated to exploring Ageless Wisdom. In October 2005, she became the TS President. Along with her three sisters, Carolyn created The Frank J. Romano Foundation in 2008 to honor the memory of her father who passed away in 2007 from pancreatic cancer and to continue his life-long legacy of service. In 2016, Carolyn moved to a small farm in North Brookfield, Massachusetts, to create Charlie’s Place, a Healing Sanctuary for Animals and Their People. 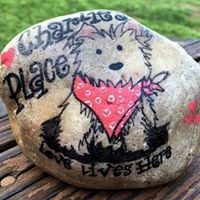 While still in its infancy, Charlie’s Place is home to Carolyn and her partner Curt along with four rescue dogs, 14 chickens, and a turtle named Arthur.